« Paul Albarian & Associates are highly rated jewelry dealers on Yelp! 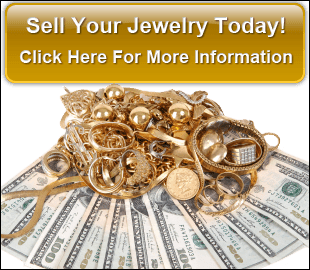 Do you have estate jewelry you no longer want? Estate jewelry just adds extra clutter in your drawers. Rather than holding onto items you can no longer wear, consider selling them to Paul Albarian. With over 24 years of experience in this industry, Paul can offer you helpful advice and a competitive price for your unwanted items. People used to throw away estate jewelry because they thought it was worthless. Why throw estate jewelry away when you can make extra cash off of them? 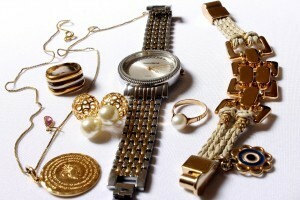 You’ll never know the true worth of your valuables until you have them appraised by a licensed gold dealer. Don’t simply throw away your estate jewelry; get them appraised – you may be surprised by how valuable they actually are. Even estate jewelry may be worth hundreds of dollars! Precious metals, especially gold, are worth quite a bit nowadays, averaging over $1,000/oz. For estate jewelry, the metal can often be salvaged. Before you decide to toss away your estate jewelry, have it appraised and find out what it’s true worth is. We buy estate jewelry, watches, and diamonds. If you have any new or estate gold jewelry, diamonds, or watches in your possession, bring it to Paul Albarian and have him assess how much it’ll be worth. Paul Albarian provides honest and accurate prices for your items, and there is no obligation to sell if you do not want to.